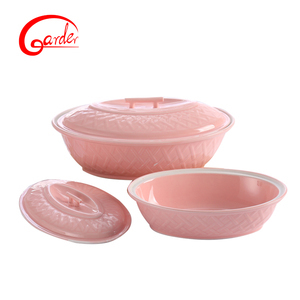 3 pcs enamel cookware set/hot pink cookware set hot selling s: Item Name : 3 pcs enamel cookware set/hot pink cookware set hot selling Item NO. 2.we have our own QC department to control the quality 3.we have our own freight company to do space booking and loading,commodity inspection & customs declaration making shipping document etc. 4.we also can be your purchase agent to accompanying place order, total quality control,cargo receiving etc. 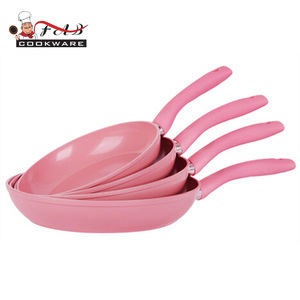 Up to our customers for Pink Cookware Set Delivery Time 45-65 days. 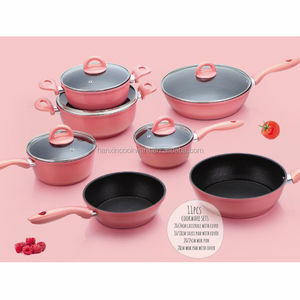 It depends on item and quantity for Pink Cookware Set Sample Time 7 - 15 days. Q: How does your factory do regarding quality control 9 A: Quality is priority. For the cast iron cookware, our major products include the cast iron pot, cast iron pan , cast iron fondue, cast iron tea kettle and cast iron trivet and so on. If you are interested in any of our products or would like to discuss a custom order, please feel free to contact us . welcome to NC, the best quality products and the most sincere service just for you, If you have any question, please feel free to contact us! We have a professional team of product developing and market researching,who knows well kitchen producing process and market trends and customer preference. We therefore specialized in making highhigh qualified stainless steel cookware,meanwhile arm with newest package to keep our customer inline. Our product are praised for its stable quality,reasonable price and nice customer service. We can supply you directly,save the agent fees and reduce your cost. c. We need 5 working days to prepare the samples c. Q: Can I print our own logo in your products9 A: Yes, we can do that for you. 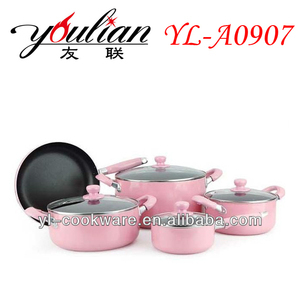 Alibaba.com offers 290 hot pink cookware set products. About 72% of these are cookware sets, 1% are fruit & vegetable tools. 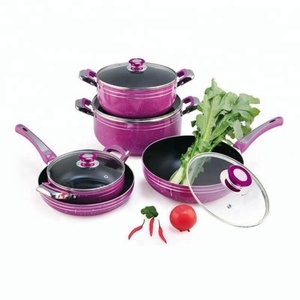 A wide variety of hot pink cookware set options are available to you, such as ciq, ce / eu, and fda. You can also choose from eco-friendly, stocked. 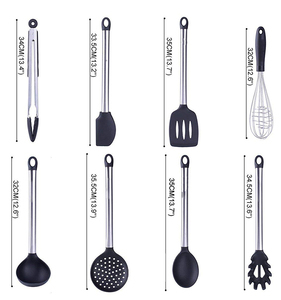 As well as from cookware sets, fruit & vegetable tools. 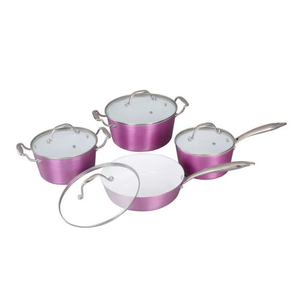 And whether hot pink cookware set is metal, or ceramic. 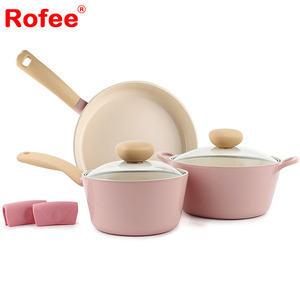 There are 291 hot pink cookware set suppliers, mainly located in Asia. The top supplying countries are China (Mainland), Taiwan, and Pakistan, which supply 98%, 1%, and 1% of hot pink cookware set respectively. 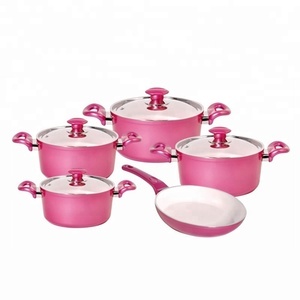 Hot pink cookware set products are most popular in North America, Western Europe, and Southeast Asia. You can ensure product safety by selecting from certified suppliers, including 70 with ISO9001, 52 with BSCI, and 24 with Other certification.